Speaking | Boring to Brilliant! Do you want your staff to bring their speaking to a new level? Would you like Barbara to do a presentation or training at your next company event to share her knowledge and experience coaching more than 140 TEDx speakers? 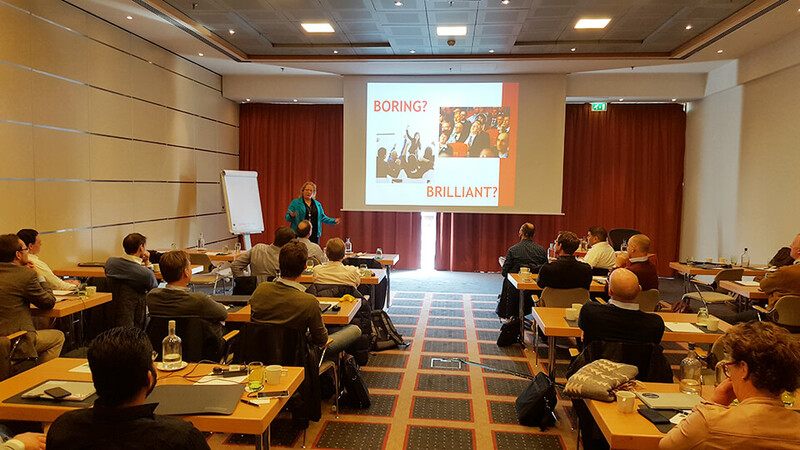 Invite her to your next company meeting to present the colorful key points of Boring to Brilliant! to your audience with style and impact. Send a message on our Contact page to ask for more information or details on booking Barbara for your upcoming event.